Digital technology is helping farmers and agribusinesses build resilience, achieve scale and develop sustainable solutions. The minute she sold her macadamias to a nut processor last summer, Kenyan farmer Joyce Kaguru’s phone vibrated with an alert. Picking it up, she saw an SMS receipt showing the price and quantity of her crop, a digital record of previous deliveries – and a mobile payment in her digital wallet. With the touch of a few buttons, a process that used to take days was now complete. 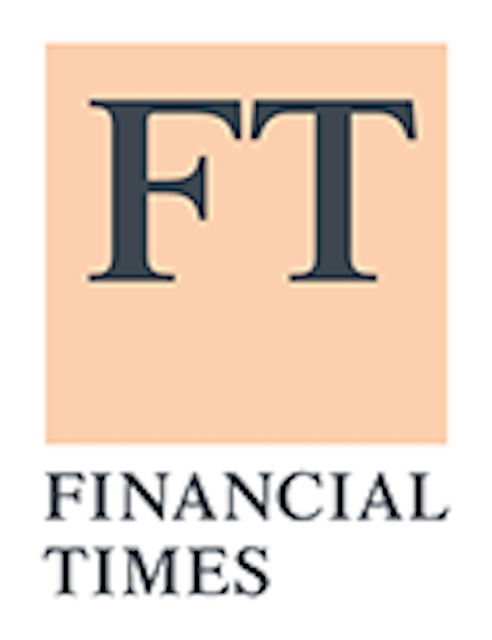 The Financial Times explores new technologies in agriculture, including TechnoServe's use of satellite imaging to revitalize South Sudan's coffee industry, and our work with Vodafone and USAID to develop the Connected Farmer platform. This is what the “fourth industrial revolution” looks like for increasing numbers of the world’s smallholder farmers. Nearly a third of the global population relies on agriculture for a living, and growth in this sector has been shown to be at least twice as effective at reducing poverty as growth in other sectors. But progress can be frustratingly slow. 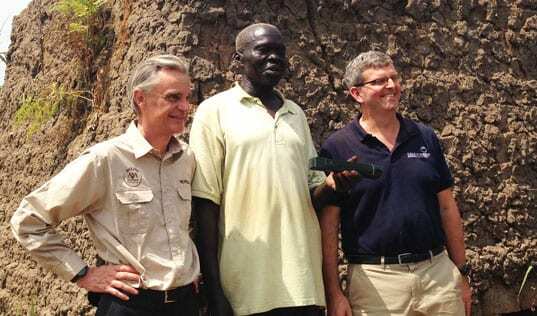 The average African maize farmer, for instance, produces five times less per hectare than the average American grower. A variety of new digital applications are now accelerating interventions that have been shown to improve productivity and growth in this sector. 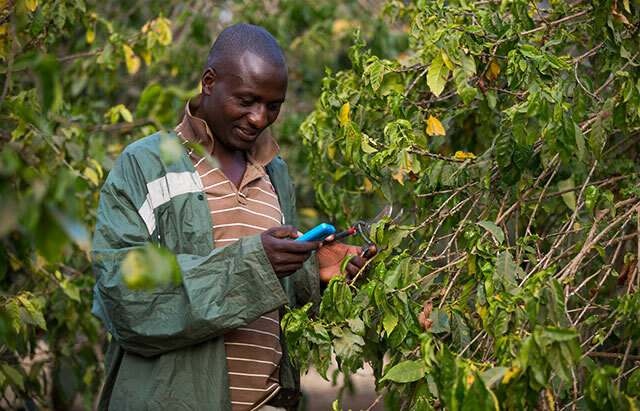 Connected Farmer, for instance, is a mobile product started in East Africa from a public-private partnership between Vodafone, USAID and the nonprofit TechnoServe, to help farmers work with agribusinesses and better manage their own crops and finances. Overall, we are seeing great promise in digital solutions that are addressing three key constraints in this smallholder agriculture: 1) resilience, 2) scale, and 3) market incentives. 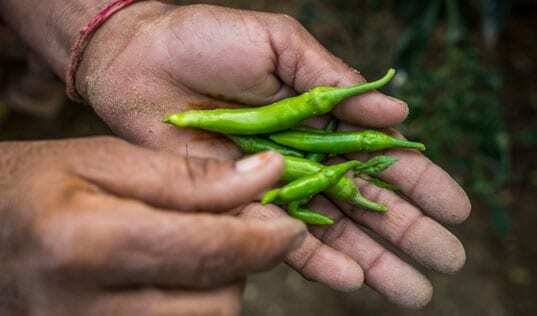 Bad weather, crop disease, low prices from middlemen – for smallholder farmers without a safety net, these challenges can quickly turn into catastrophes. Through products such as Connected Farmer, Joyce Kaguru and other farmers get mobile payments and receipts whenever they sell to an agribusiness on the platform. But it also gives thousands of farmers a financial history for the first time – right on their phone. Better records can make them more attractive customers for a bank, ultimately allowing them to more easily access credit, insurance, and other financial tools that can help them build resilience against potential setbacks. The system also helps protect farmers against being taken advantage of by any buyer, sending market prices right to their phone and helping them maximize their returns by selling at the right time. 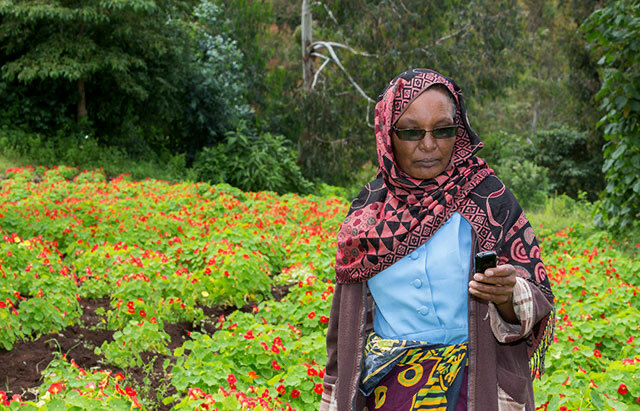 In addition, mobile applications like Esoko, or Tigo Kilimo in Tanzania, are taking the guesswork out of planting and maintaining crops by providing up-to-date weather information and agronomic tips. And the Bima system builds resilience by offering life and crop insurance to protect against economic shocks, reaching 18 million customers across 14 countries. Roughly three out of four people in sub-Saharan Africa lack access to traditional financial services. 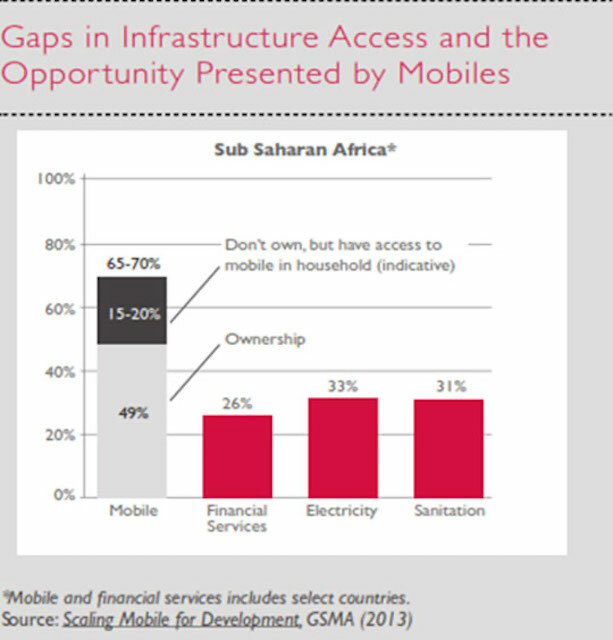 However, nearly two-thirds of the population has access to a mobile device. Even after managing these challenges, farmers still need sizeable, stable markets for their crops. But many agribusinesses struggle to buy on a large scale from so many different smallholders spread across remote areas. Bumping across dirt roads, company agents can spend hours driving to different farms, scheduling deliveries, assessing crops, or delivering contracts. Then farmers make arduous, risky journeys to company sites to collect payments and loans. “Virtual aggregation” is changing this. 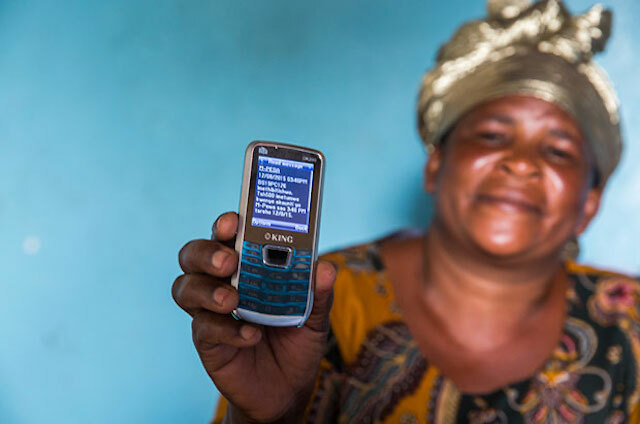 When the agribusiness giant Olam adopted Vodafone’s Connected Farmer system last year in Tanzania, for instance, it paved the way for 30,000 farmers across hundreds of kilometers to be organized inside a single mobile phone. On this mobile platform, businesses can register farmers, manage contracts, provide extension services, make payments, extend farmer loans and provide SMS receipts. This new wealth of data gives them a bigger, clearer picture of their overall business, helping them identify patterns, efficiencies and best practices. But no matter how well these approaches work, the ultimate question remains: will the solution last in the long term? It’s a particularly tricky problem in the sector of smallholder agriculture, where farmer “clients” are often risk-averse, with limited ability to pay. In our experience, the key lies in correctly aligning public and private sector incentives. Are farmers reluctant to pay? Make the client the agribusiness, which has greater financial margins and enjoys commercial benefits to adopting digital supply chain solutions. And for a mobile network operator like Vodafone, a service like Connected Farmer provides a sustainable solution; Vodafone is using its technology to help improve farmers' lives and business operations, while earning revenues for the company from license and payment transaction fees, as well as the incremental addition of new customers (both farmers and agribusinesses). 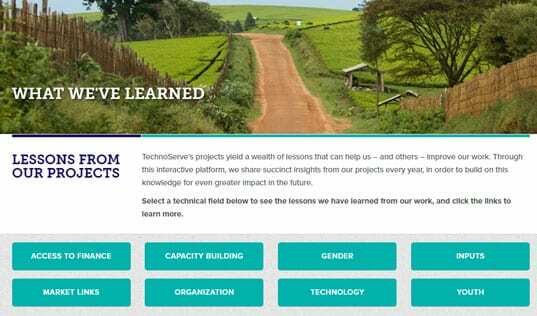 The public sector – in our case, USAID – can be instrumental in defraying start-up costs and supporting implementers like TechnoServe, which analyzed the problem, helped design the Connected Farmer system, and brought different market players together. There is no more exciting time to be on the front lines of the “fourth industrial revolution” in agriculture. 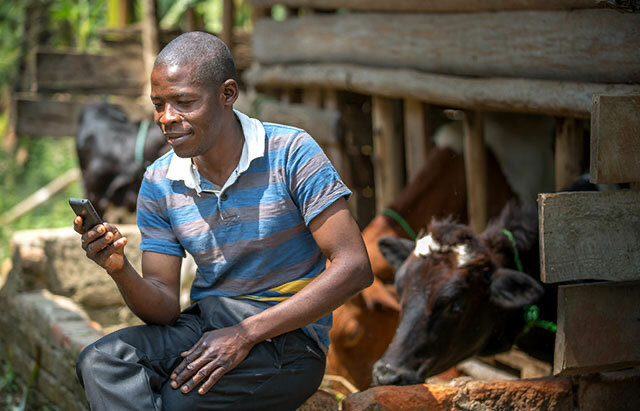 Mobile innovations are changing the way dairy farmers tend their cows (iCow); get micro-insurance against bad weather (Kilimo Salama); or determine the most scientifically optimal time to plant crops (a new application from Colombia’s GeoMelodicos). But the ultimate success of any innovation depends not so much on a “blue sky” approach as an on-the-ground understanding. How do smallholder farmers actually operate on a daily basis, and what do they care about most? What are the incentives among market actors in an agricultural system? Which approaches can best trade on this information to help smallholders achieve real change over the long term? With global food demand expected to soar 70 percent by 2050, the answers to these questions grow more critical by the day. Working together to develop a firm understanding of these answers, we can open the door for humanity’s newest technologies to solve some of its oldest development problems.